On a rainy summer day overlooking the picturesque Seine River in Paris, Kenzo designers Humberto Leon and Carol Lim showed their latest collection of menswear at Paris Fashion Week. Always calling back to the Kenzo archives since the duo took creative control of the brand in 2012, this collection stayed true to Kenzo’s vivid and spirited roots, with signature bold blocks of color and intricate prints. The sense of wonder and adventure was undeniable throughout the collection, with parkas ready for a Vespa or scooter ride and matching polka-dot or striped ensembles perfect for exploring a new city. 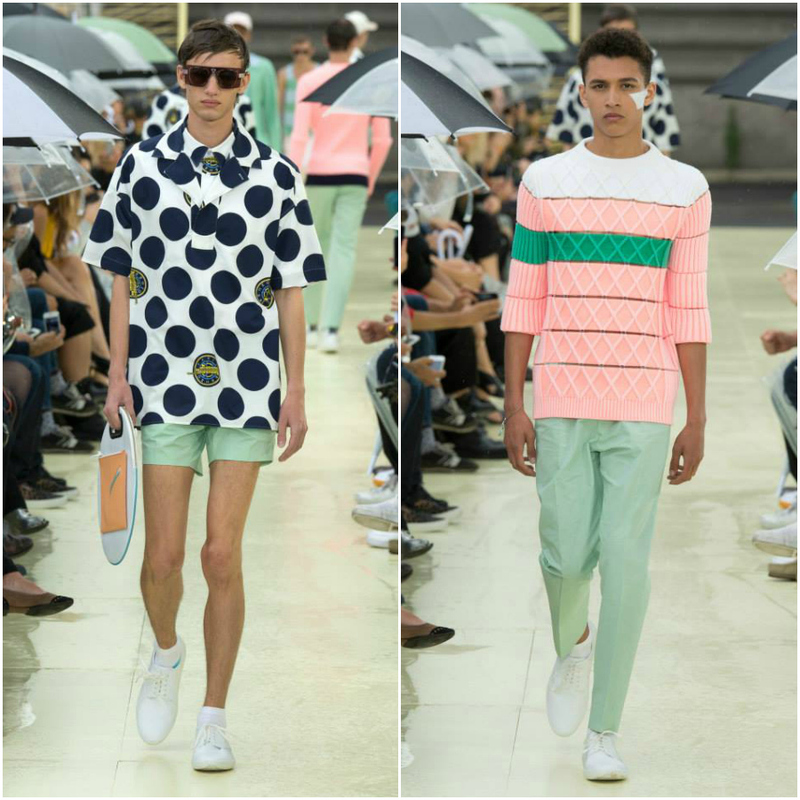 Patterns and prints were a major player, from a mod-black and white polka-dot to stripes in every color imaginable. The looks ranged from a pastel, preppy color pallet to a dramatic burnt orange, the entire collection was a whimsical show that refused to be dampened by the summer rain. See for yourself in the imagery above.